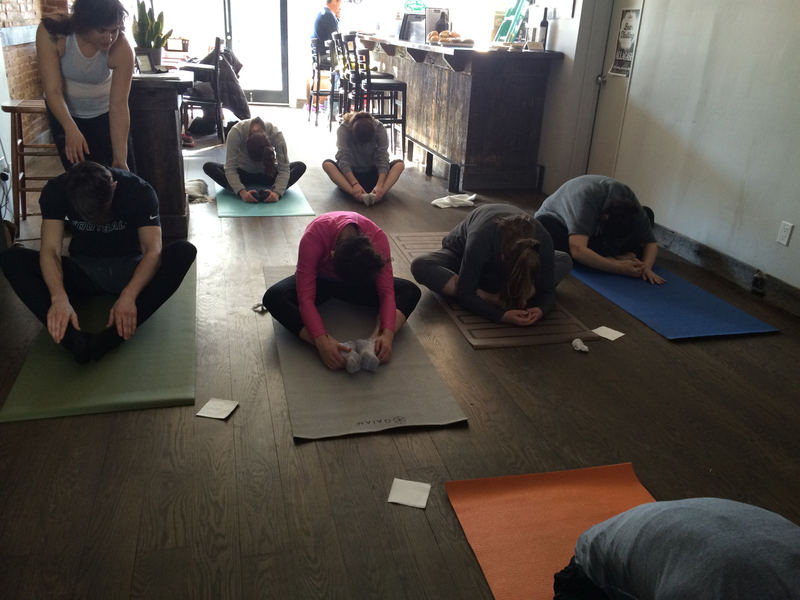 If you are a business looking to offer yoga into your space, go to another shop's yoga event for inspiration. Find a yoga teacher or yoga company that you trust, and collaborate on creating an event to remember. When local shops offer yoga in their space, they welcome new faces and build a strong community. The studio is no longer the only place to find yoga in your city. Yoga is expanding into offices, parks, and even local shops. Lululemon and Athleta were among the first stores to jump on in-store yoga events, and it makes sense: yoga and fitness enthusiasts flock to a store for a class, and are surrounded by the lovely goodies around them in the shop. Even if a participant doesn't buy something at the event, they will have a positive experience associated with the business. This trend is moving beyond just attracting new customers to fitness wear stores. In New York City, yoga is being offered during off hours in local shops. In Brooklyn, St. Gambrinus Beer Shoppe is a local favorite. They have been hosting monthly yoga brunch classes, where yogis enjoy a class, and then get bagels and beer. While this is not the traditional setting for a yoga event, teacher Christina Ferwarda says that the space works because students relax naturally in the unconventional setting. She focuses on getting people to approach yoga poses more gently without studio props, and with a sense of humor. "It's great for St. Gambrinus; it brings people into the bar at a time when it's normally quiet, and helps to get different customers chatting with each other. It helps yoga students take the practice a little less seriously too." 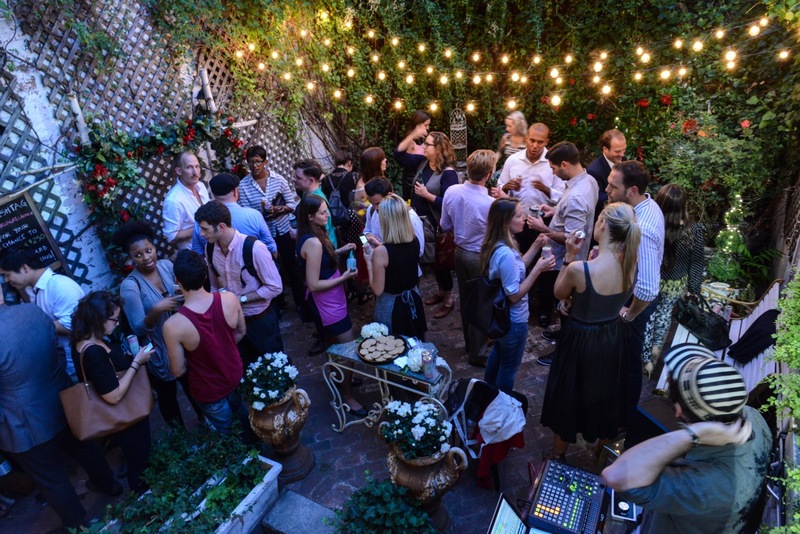 Local West Village boutique, Darling, has been known for hosting fun events. The shop has two levels and a garden space. Owners Raquelle Stiefler and Donna Baxter have hosted everything from designer launches, cabaret shows, and summer evening cocktail parties. When asked about why they've decided to host their first yoga event on March 16th, they both love the positive effects yoga has on the mind and body. "Since fashion is really about feeling healthy, beautiful, and confident, we thought it would be so fun to combine yoga with champagne and shopping." They are hoping to make yoga at Darling a monthly series. Their lower level has a wooden floor and mirror, and the colorful wallpaper that decorates the walls makes it ideal space for yoga. For this event, Darling is collaborating with local tech startup, Ringly, a fashionable smart ring that connects via bluetooth to a smartphone and gives subtle notifications, allowing the wearer to know what's going on with their phone without being tied to the screen. When asked about the collaboration, Stiefler and Baxter remarked on how it gives them the opportunity to offer customers new and unique experiences. 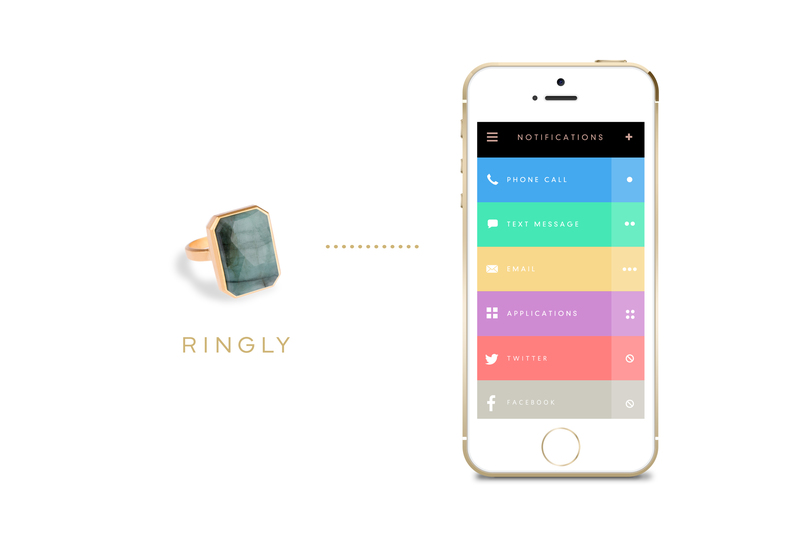 CEO of Ringly, Christina Mercando, emphasized that Ringly's mission is to promote a peaceful mind by alleviating the stress of always having to focus on your phone. Yoga aligns well with this mission, and Ringly is excited to be part of the event. One thing is certain: Yoga, tech, and shopping combined sounds like a fun time. If you are a yoga enthusiast looking to expand where you practice, keep your eyes open: Look to local shops for a fresh yoga venue. You will have an opportunity to connect to your community in a meaningful way, and enjoy a fun yoga class in a no-pressure space. You can check out sites like Racked or Eventbrite to find out what's happening in your city.